The brilliance of his colours, the smooth flow of the stroke of his brush as well as the occasionally irritating haptic and tactile qualities of imitations of visual effects on natural and artificial surfaces, blossoms and leaves, of water and fish bodies automatically remind the viewer of the art of the 17th century – in particular, of the Dutch still-lives, the so-called nature morte, which should immediately appear in front of the inner eye of the viewer. It is all the more surprising and remarkable at the same time that the artistic personality behind these canvasses was born in 1978! The artistic process begins with collecting and documenting, in other words, Reiffers uses the camera to study his motifs: the Mediterranean markets in the French city of Aix had offered him the sights of fish of all colours, sizes and of all kinds; at home in Cologne it is the flora and fauna in his parents’ spacious garden that catches his eye. Since 2015 his photographic research moves him to several museums in Europe to collect impressions of a contemporary "museum genre". The camera functions as an archive, spaces, the people, the architecture, the individual flowers and leaves, fish and all the other animals that he catalogues this way form something like an evidence room, a repertoire of forms and motifs that the artist can access at any time, completely according to his imagination and independent of the seasons and regardless where he may be residing presently. It is only in the artist’s workshop that they are brought to new life. The photographic templates are projected onto the canvas; proportions and composition are carefully arranged in thin glazes of colour. In the following act of painting, however, the artist liberates himself from the template. He develops colour, form and space autonomously, which is a procedure that takes up a lot of time. Lars Reiffers captures humans, artificial objects and especially nature in their manifold forms of appearance. For example water in states of calm or of movement, or the changes of fish bodies in the sun. Plants, animals and stones as well as artificial stucco and marmoreal pilasters, teacups, sculptures, metallic rings, scissors, mirrors up to recently Chinese tourists, Italian smartphone-users and other artist’s paintings - nearly everything can be subject of his paintings.But in them, he does not merely document a temporary condition, such as the crystalline and prismatically shining surface of a fish body in the sunlight or the silken and shimmering and extremely fragile, even vulnerable skin of a peony flower. In arranging his motifs on the canvas in an extremely aesthetic manner, he adds another dimension of his own commentary. Reiffers is not just a reporter of images, somebody who would subject himself to the subjects of his paintings. Instead, he is an empathic observer, instructing us with his compositions and simultaneously appealing to our innermost. Like a conductor, he guides, or sometimes abducts us deeply into the realm of ontology, the study of being. Especially in the face of an accelerated flow and pace of information, a meditative concentration on the elementary and, thus, the existential, proves to be an important anchor and pillar for our orientation. In this context, nature is to be considered as an ideal, in which we can read the whole circle of life. Reiffers works with a magnified perspective, as full blossoms fill the large-scale picture plane, suspended on a dark background. However, his work is driven by much more than a mere display of surfaces and their ephemerality. Rather than solely reporting on his subject matter, Reiffers is an arranger, bringing flora into compelling juxtaposition of texture, colour and luminosity. His approach is meditative, with nature idealised. 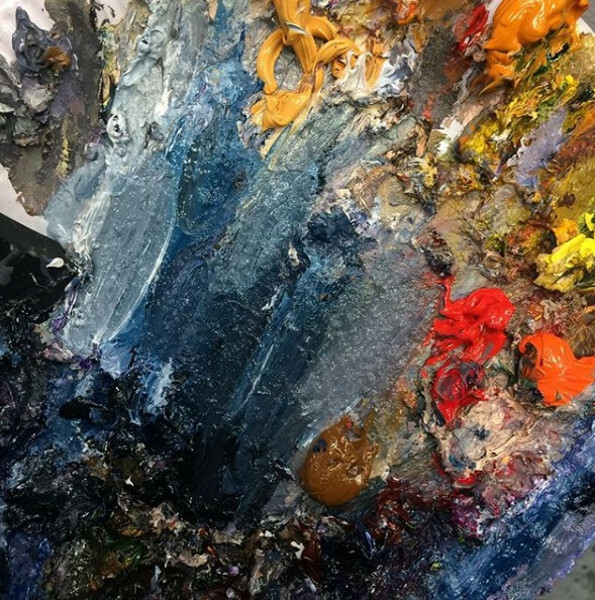 In 2015, the artist decided to borrow from genre painting. Once more adopting a contemporary approach to this tradition, his focus is museum spaces filled with old master paintings - all seen through the eyes of a modern day audience. The room, visitors and artworks are given equal importance in the composition, as Reiffers blends a balance of natural and artificial light. His spaces have included the Versailles Gallery of the Battlefields, a setting dating back from to 1837 which houses an impressive collection of thirty-three paintings, and the Louvre Museum. Each painting is almost photographic in its detail, and yet it is the layering of colour, plays of light and motion of the brush that allows Reiffers to compose as well as record. Lars Reiffers paintings have been the subject of numerous solo and group exhibitions and has been shown in galleries in Germany, Spain, France, China and South Korea. His most recent solo exhibitions have been at Theofilos Klonaris Fine Art Gallery in Palma de Mallorca, Cerny and Partner Gallery in Wiesbaden and Zandari Gallery in South Korea. Among the major group-exhibitions in museums that have included Reiffers paintings are the Fränkische Galerie des Bayerischen Nationalmuseums, Kronach; Maison der Heidelberg, Montpellier; Dolmbahce Serail - Museum of Painting and Sculpture, Istanbul; Kunstverein Oberhausen; Kaktus Kulturforum Lüdinghausen; Städtische Galerie im Park Viersen; Städtische Ausstellungshalle Münster; Messmer Foundation Riegel Kaiserstuhl and Space Ieum Peking. 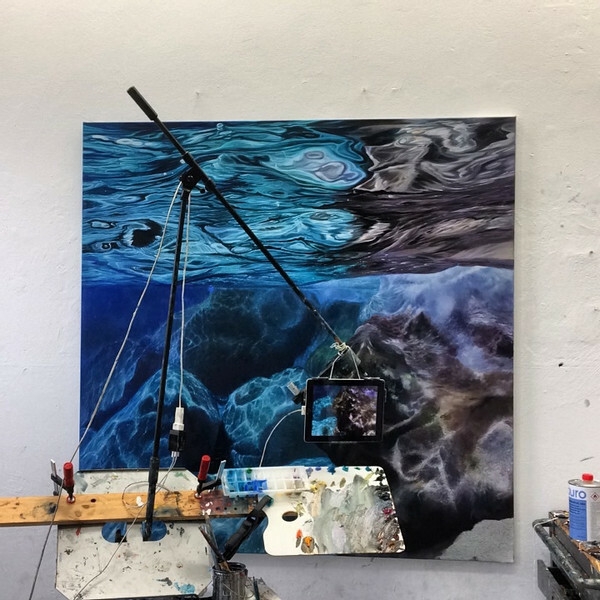 The work of Lars Reiffers is represented in numerous private collections and he is represented by Theofilos Klonaris Fine Art Gallery (Palma de Mallorca), Rebecca Hossack Gallery (London, New York) and Cerny und Partner Gallery (Wiesbaden. ).